In the centre of San Donato in Poggio, village of grat architectural value due to its medieval urban structure, there is Palazzo Malaspina. The current building was erected in the late Renaissance in place of an older structure. The place was known since 989 and, then, during the Middle Ages as the dwelling of the Ticci family. 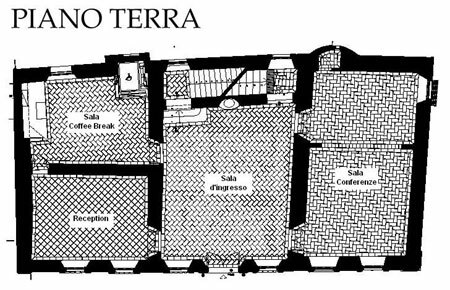 Only in the XVIII the building became property of the Marquis Malaspina. Now the place is owned by the Municipality of Tavarnelle Val di Pesa that promoted an important restoration work. The project, developed by the Architect Luigi Ulivieri, covered 500 square meters over three floors. In addition to bring the palace back to its former glory, the building was made secure and disabled friendly. 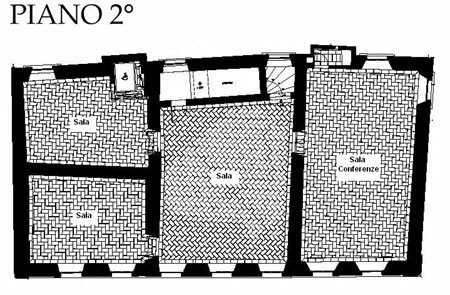 The exposed and plastered brickwork, of the floors, fixtures and the plasters were made in a collection of data in order to study and project the restoration work which was directed to give Palazzo Malaspina its value of historical structure both inside and outside. The main intervention was the restoration of the roof and the facade that few decades ago was badly restored due to poor quality materials that were rapidly degraded and that produced a dulling of those that are the main features of the curtain walls. The charm and history of Palazzo Malaspina haven’t prevented the installation of modern technologies like Wi-Fi, building automation system and video and sound system that have made the building an ideal venue to host exhibitions, conferences, concerts and many other events. Palazzo Malaspina is provided with wired wireless, video broadcasting and wi-fi system in all its floors. (impianto di filodiffusione, videodiffusione e wi-fi su tutti i piani). For its architectural features and for the modern technological system, Palazzo Malaspina can easily become a suitable venue for exhibitions, also open to private initiatives. The palace host meetings and conferences, exhibitions, concerts, seminars, presentations of publications, tourism and cultural initiatives, especially promotion of the territory and local products, like wine, food and industrial ones. Private associations and institutions can require Palazzo Malaspina to the Municipal Administration of Tavarnelle Val di Pesa inn order to organize events and other initiatives. 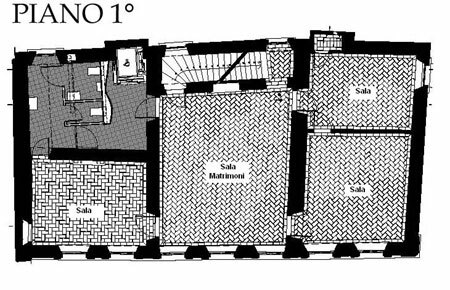 Palazzo Malaspina has four floors: the basement, the low gound (with a conference room for forty people), first floor (with the wedding hall) and the second floor (with a conference room for forty-five people). The Municipality of Tavarnelle Val di Pesa offers the chance to marry inside Palazzo Malaspina. Those who are interested need to agree with Secretary office of the Mayor on marriage day and time at least twenty days before the date chosen for the cerimony. – 200,00 € if one (or both) spouses are residents in the Municipality of Tavarnelle val di Pesa. The rate does’t include the preparation of the room.